What makes a great construction contractor? There are a total of 670,000 contractors in the US construction industry alone. Yet, as anyone who’s been in the business knows, not every contractor sees the same level of success in his company. There are contractors who consistently attract and retain top-notch clients, those who struggle to land contracts regularly, and everything in between. There’s a solid reason for this. Between appeasing principals, developers and designers, employees and the clients themselves, being a successful contractor is anything but an easy gig, and only those who can effectively maintain that balance come out on top. While there’s no failsafe blueprint of what makes an outstanding contractor, there are a handful of traits and best practices the cream of the crop is likely putting to good use. By using these strategies as a guide, you’ll be able to know with more certainty what the clients you take on are looking for and to follow their lead at your own company. Here are a handful of those strategies and practices. Try this on for size. The US construction industry employs 4% of the total US workforce, yet accounts for a whopping 21 percent of work-related deaths across the country. Because of this, great contractors need to see safety as their number-one priority at all times. Not only will having airtight safety help protect both workers and civilians near a job site, but it will also give clients the peace of mind they’re looking for when searching for contractor candidates. Clients want to avoid negative publicity at all costs, and nothing makes headlines quite like construction projects gone wrong because of poor safety measures. In terms of both repairs and labor costs, mistakes are costly. Whether you’ve been in the business for 5 years or 50, taking every possible precaution to ensure you and your workers get a job done safely will help you rise to the top of the pecking order over time as a contractor. By embracing new technology today at your company, you’ll be getting a head start on your competitors. Did you know that only one quarter of construction projects were finished within 10 percent of their original deadline over the past few years? This presents a massive opportunity for contractors who are able to meet project deadlines consistently. One surefire way to improve efficiency for projects and meet deadlines is by integrating new technology into your workflows, a trend that’s gradually been gaining momentum in recent years. In fact, according to a report by the US Chamber of Commerce, 74 percent of contractors in construction said they plan on adopting new technology over the next three years. By embracing new technology today at your company, you’ll be getting a head start on your competitors. 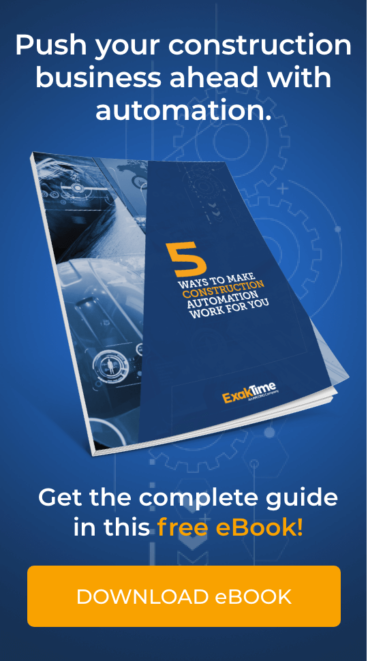 There are loads of apps and platforms on the market today that can help streamline nearly all aspects of the construction process, including the time tracking and workforce management solutions we’ve developed here at ExakTime. 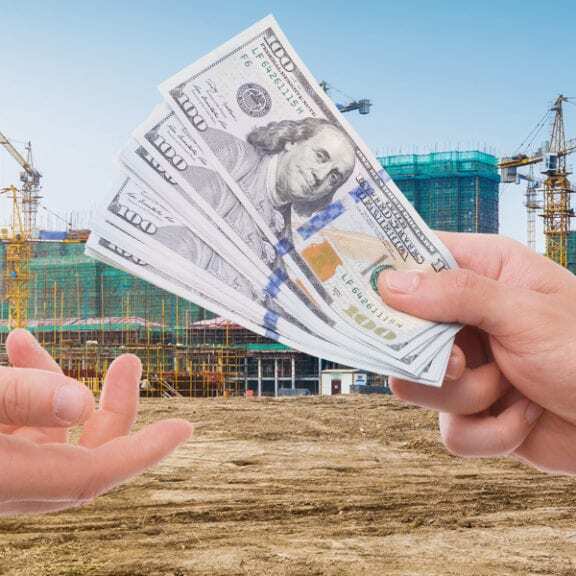 Of the $9.5 trillion global output the construction industry currently generates, estimates of total losses from corruption range from 10 percent all the way up to 30 percent. Because corruption is so rampant in construction, being a reliable, trustworthy contractor will make you a hotter commodity than ever before. By being honest and not cutting corners for short-term gains, you’ll set your firm up for long-term success by winning the trust of shareholders, employees and clients. Chances are good you wouldn’t hire a gardner whose never picked up a shovel or decide to eat at a restaurant with 200 one-star Yelp reviews. Making sure a person or company is credible in their field before hiring them will save you time, money and headaches—and construction is no different. If you’re curious to know your own online track record, there are a few places you can look. By knowing what others see when they research your work history, you’ll be able to be aware of and address any issues, or discrepancies, with a potential client from the get-go. In addition to looking up your company’s Yelp and Google reviews, you can also reference your company’s official work history on BBB.org. Last, try conducting a quick Google search of your company’s name along with a word like “complaint” or “review”. This will allow you to see what others are saying about your company on a variety of platforms, from Angie’s List to Twitter or somewhere else. The best contractors are those who are at their best even when the client and stakeholders aren’t looking. A job site is as much of an office (with as many internal dynamics at play) as a brick and mortar location, so make your workplace a positive environment for your employees. If you treat your employees fairly—from processing payroll on time to thanking them for their hard work—they’ll give you the same treatment in return.